Home / BUSINESS / Who are the best paid employees in Romania? Who saw the highest pay rises? Who are the best paid employees in Romania? Who saw the highest pay rises? The salaries of the Romanian employees working in the constructions sector have climbed by over 40% in February, according to the National Institute of Statistics. The next highest pay rises were reported in education and healthcare sectors, where pay rises exceeded 30%. 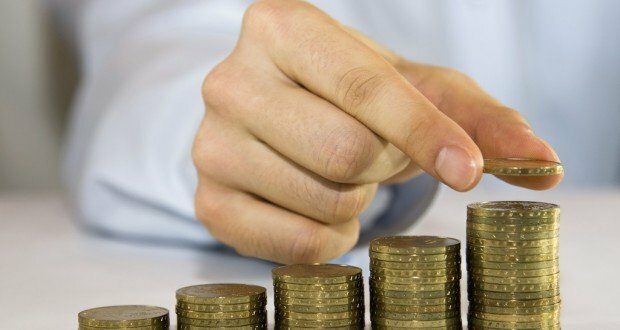 The net average salary in Romania was RON 2,933 in February, meaning an average gross nominal earnings of RON 4,819 lei, by 0.4% lower than the one registered in January 2019. As compared to February of the previous year, the average net nominal earnings increased by 17.9%. The highest values of the average net nominal earnings were recorded in computer programming, consultancy and related activities (including information service activities) (RON 6,683), while the lowest in manufacture of wearing apparel (RON 1,728). Decreases of the average net earnings as against January 2019 were determined by the occasional bonuses (quarterly, annual, performance bonuses or the 13th salary), payments in kind and other allowances, amounts from the net profit and other funds granted in the previous months. Also, the decreases of the average net earnings were caused by the production un-achievements or lower receipts (depending on contracts/projects), as well as of hiring staff with low earnings, in certain economic activities, INS says. The most significant decreases in the average net earnings have been in mining of metal ores (by 20.6%), respectively by 14.9% in extraction of crude petroleum and natural gas. Declines between 3.5% and 7.0% were als in mining of coal and lignite, mining support service activities, warehousing and support activities for transportation, insurance, reinsurance and pension funding (except compulsory social security), real estate activities, manufacture of other transport equipment, air transport. Between 1.5% and 3.0% in manufacture of basic chemicals, fertilisers and nitrogen compounds, plastics and synthetic rubber in primary forms, manufacture of machinery and equipment n.e.c., land transport and transport via pipelines, electricity, gas, steam and air conditioning supply, accommodation and food service activities, other manufacturing. Increases of the average net earnings as compared to the previous month were due to occasional bonuses (annual or performance bonuses), payments in kind and other allowances, amounts from the net profit and other funds (including value tickets), but also due to production achievements or higher receipts (depending on contracts/projects). Increases between 1.5% and 4.0% were recorded in scientific research and development, construction, publishing activities, professional, scientific and technical activities, financial service activities (except insurance and pension funding), crop and animal production, hunting and related service activities. In the budgetary sector there were registered slight increases of the average net earnings as against the previous month in public administration (+1.6%), respectively in education (+1.3%). In health and social assistance, the average net earnings slightly decreased (-1.3%) as against the previous month.